18-year-old Aoba Suzukaze is joining the character design team at the company that makes her favorite video games! But the real world of office culture can be a challenge for a total noob. From her awkward first day to her first game’s debut, she’s got a lot of skills to master. Luckily, her charming determination wins over her quirky coworkers, and before she knows it, Aoba has joined the party! 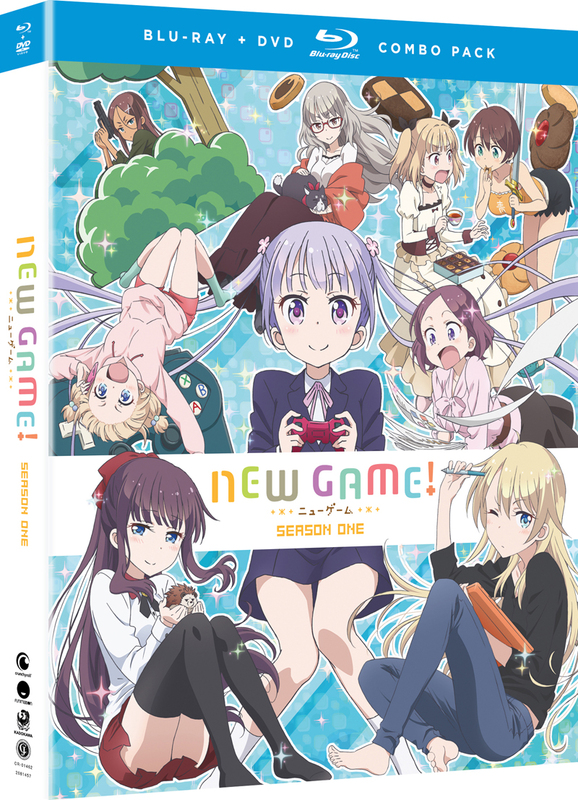 New Game have always been one of my favorite anime to watch over and over and I’m glad that I preordered the season one dvd/Blu-ray and now I’m just waiting for the season two dvd/Blu-ray. Suzukaze Aoba, a high school grad with more than a little creative talent, decides to jump straight from school into the workplace at Eagle Jump her favorite game company. The head character designer of the game she’s working on is Yagami Ko who was the main creative talent behind her all-time fave game. Not only that it turns out she’s working on a sequel to that game. It’s a dream come true. Then reality hits. It’s a high stress job with a lot of overtime and a steep learning curve. Aoba’s new friends and her unexpectedly high-maintenance mentor make it worthwhile. An entertaining workplace comedy with a dash of fan service, endearing characters, and just enough of the nuts and bolts of game creation to keep it feeling real. I appreciate the flexibility Funimation's BluRay/DVD combination packs give me for playing the content. This charming anime follows the ambitions of a up-incoming video game developer. I like the premise and the characters are lovable!